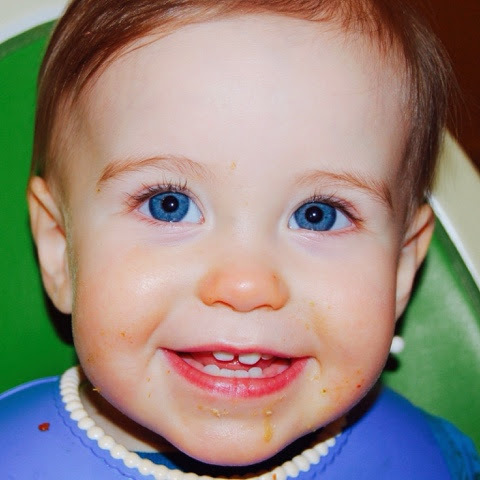 The baby Belle has been getting a zillion teeth. She has so many more than my other two did at her age. The poor thing has been waking up at night, chewing her fingers and basically putting anything she can reach into her mouth. Remember how much I love the KidsMe feeder? It's always in my Baby Feeding Must Haves. The one that replaces the old, nasty mesh thing? Well, they make a teething feeder too! 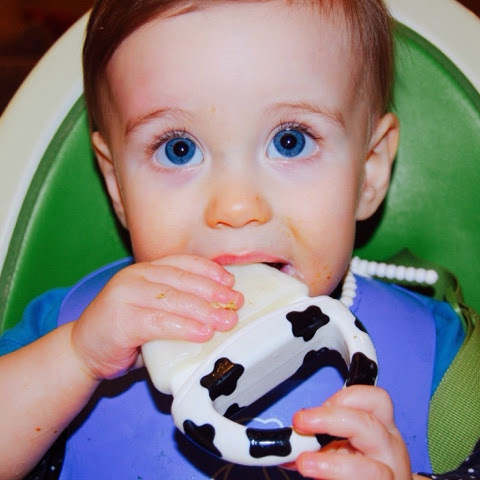 It's called the MooMoo Soother and it is pretty cool. You can put ANY liquid into it, put it in the freezer and it turns into a baby friendly teething pop. Any liquid. Breast milk, cow milk, puréed red peppers in water, blueberries, green beans, are you getting the idea? It has this handy dandy cap that you put the liquid into and then snap on the handle. Put it in the freezer and BAM! Dunzo. I will leave you with the messiest (and happiest) reason that you need one. Even better news? 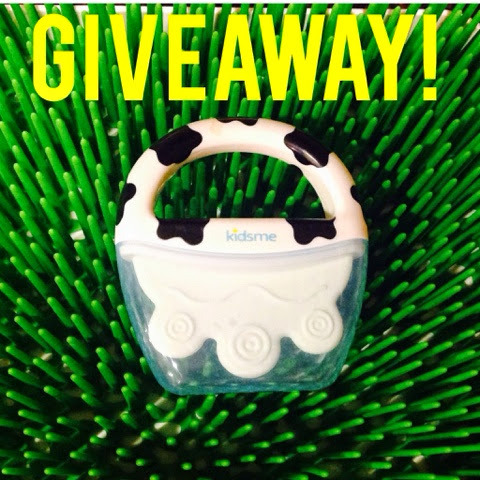 KidsMe is giving one to one lucky reader. Enter below and don't forget to share with your friends. Sharing is caring after all! Can't wait? Buy one here...I love two day delivery, don't you? I received product for the purposes of review but was not otherwise compensated for this post.